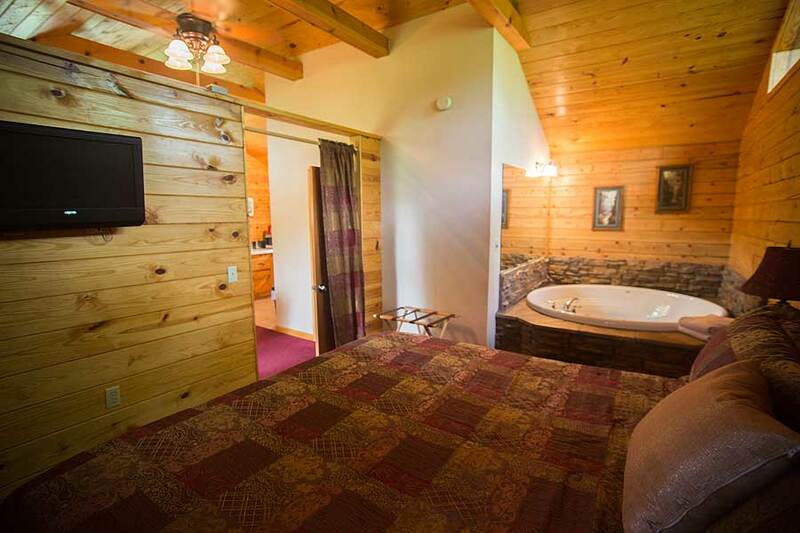 Our Deluxe Mountain Top Cabin #2 is fully carpeted and tastefully decorated with an elegant country touch. 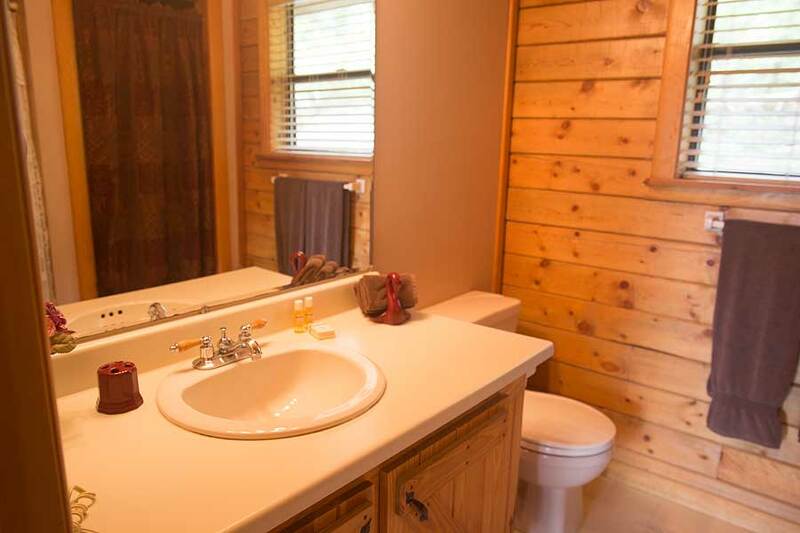 Enjoy the warmth and comfort of home in your own quiet place, undisturbed by the hustle and bustle of everyday life. The Jacuzzi (6ft. round) is tucked away in the corner by your bed. 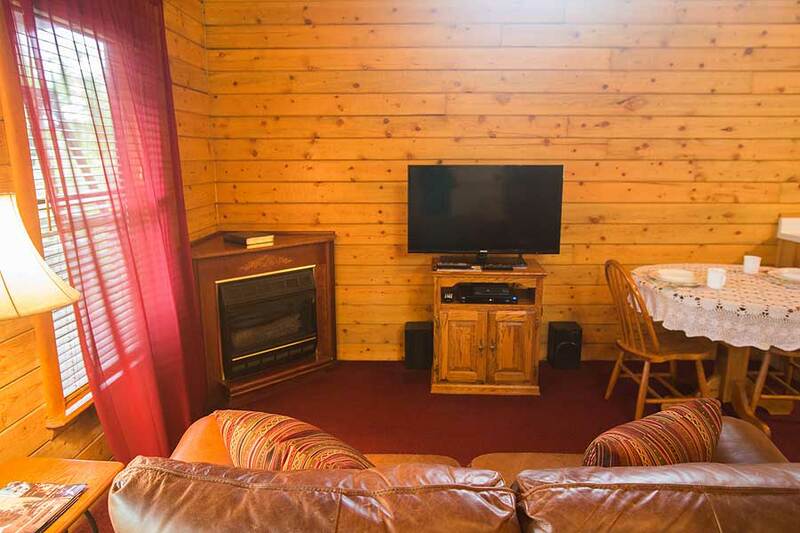 Enjoy a cozy living room with satellite TV, DVD and stereo as well as a (gas) fireplace, which will keep you and yours nice and cozy in the cooler months. 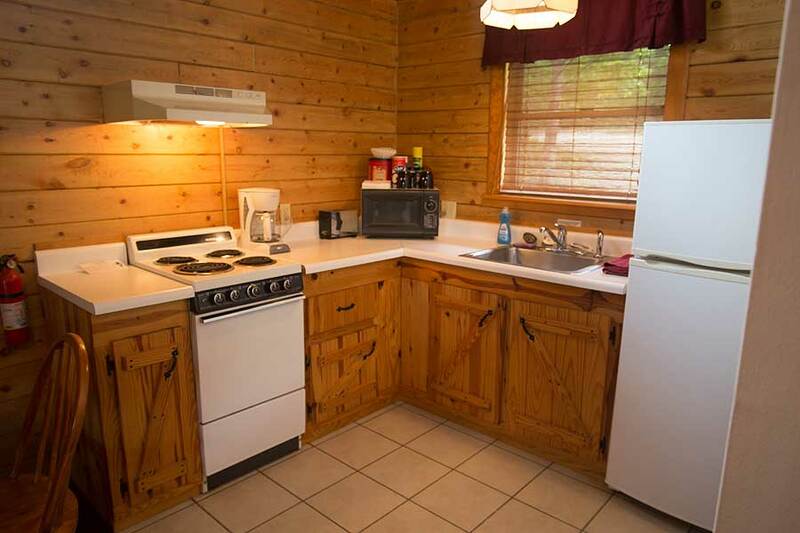 Your kitchen is fully equipped with dishes, silverware, pots and pans. Everything you will need to prepare a romantic dinner for two, that is except the food and seasonings. 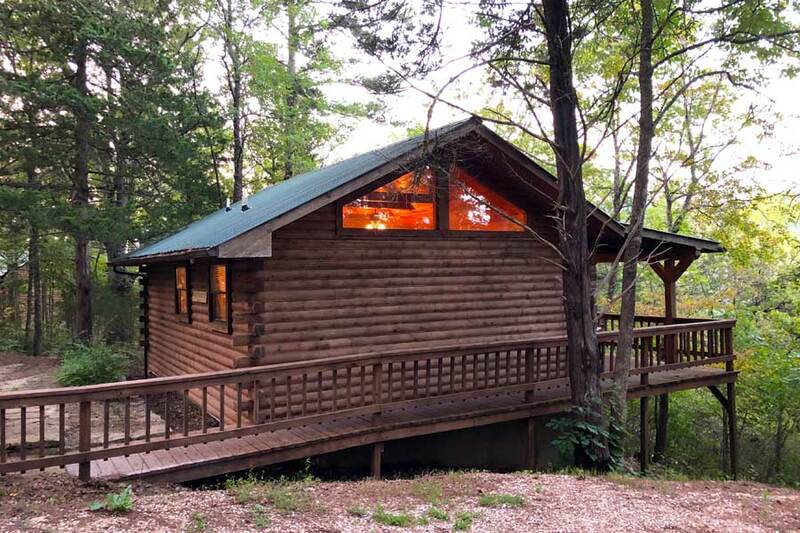 This is an excellent choice among cabins in Eureka Springs!